During the recent Salon International de la Haute Horlogerie, Blouin Lifestyle met with Parmigiani Fleurier CEO Jean-Marc Jacot: What is the key highlight among your offerings this year? The Toric Lépine, which is a unique collection piece we created with Lalique. It was inspired by an old Lalique clock that we were first asked to repair. This is a table clock with a beautiful crystal case which houses a Parmigiani Fleurier pocket watch with a minute repeater, which is detachable so you can wear it as a pocket watch or look at it as part of the clock. It’s a very sophisticated watch, its back is in crystal too, so you can see the movement. 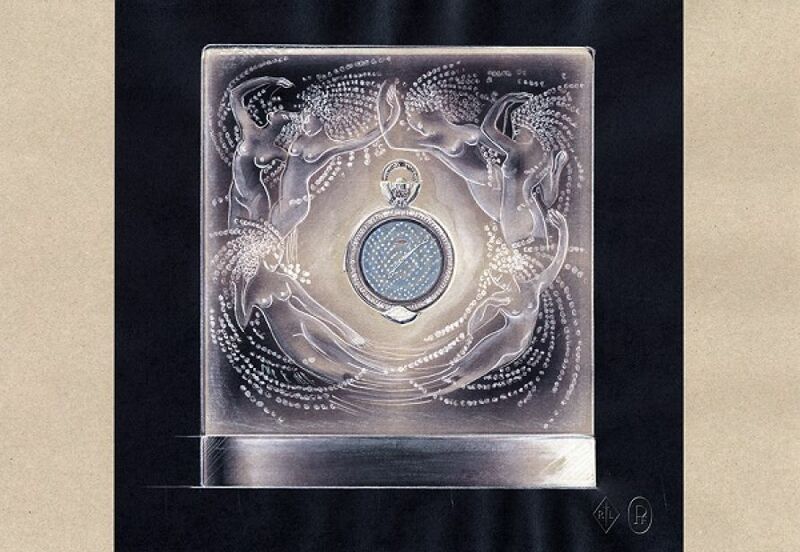 This is not the first time you have collaborated with Lalique, is it? This partnership was born out of my friendship with Silvio Denz, the owner of Lalique. He invited me to visit the factory and I was very impressed. Parmigiani is interested in partnerships with companies that have the same philosophy, companies that are producing their own products. I’m not interested in signing with marketing companies. Silvio had asked us to restore a Lalique clock, and that gave us the idea to do the new clocks this year, the Toric Lépine and Le Jour et La Nuit clock project, which has a Soleil de Gaïa clock and a Serpent clock — these two pieces recall some of the jewelry pieces created by René Lalique that illustrate the themes of day and night. You have also added new high-end pieces to your Bugatti Collection. We are celebrating 10 years of partnership with the brand and we’re celebrating with three unique pieces of the first generation, the “Bugatti 370,” which was inspired by the engine of the Bugatti Veyron. It has a tubular-shaped movement that is worn like an engine block on the wrist with the time being displayed laterally. From the start, we wanted to create something for the one who has the ability to buy the car. Most of the watches associated with cars are rather cheap ones, but a Bugatti costs €2 million, so why develop a watch for CHF2, 000? Secondly we wanted to produce as many watches as they produce cars a year, so for the first generation we produced 200 pieces. For the second generation, the Bugatti Super Sport in 2010, we produced a new model with a new movement. That one is nearing its full production and we’ve already developed the third generation which we will launch next year. A new concept, a new movement; though as in the past, it’ll be close to the car and its engine. Not at the moment. We don’t want to have too many. These partnerships have to make sense, there must be a reason. You are using meteorite on the Tonda. Why? This is our best seller from the 1950s, which we usually produce in gold. We wanted to produce the case in titanium, which is lighter, and we wanted something a bit more technical for the dial to create the perfect mix. Customers are attracted by unusual materials and specific dials. Older people also like to wear lighter watches, hence the titanium. Do you see any trends in terms of design? People are looking more and more to the classic watches. They are finally realizing that watches should be easy to wear, elegant, and should be easy to read the time. It had got to a point where you couldn’t even read the time anymore.